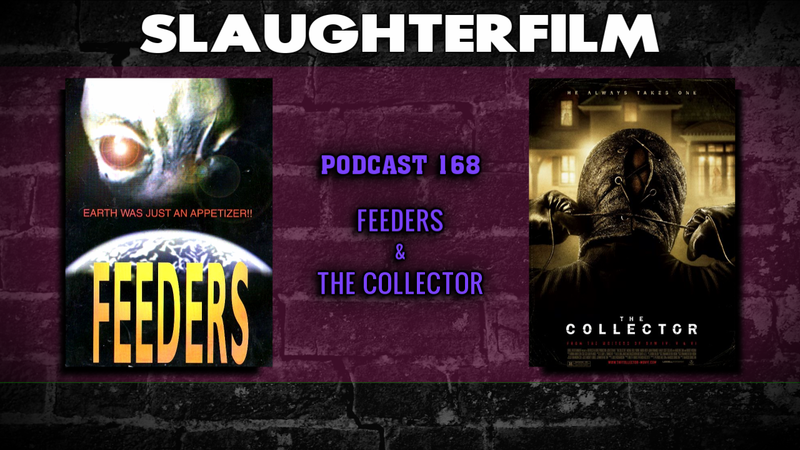 This week Forest views and reviews the notorious backyard sci-fi alien invasion film Feeders. Cory is surprised by The Collector. The Horror Duo also chat about the Labor Day holiday and local amusement park, Waldameer, closing for the season. The Texas Chainsaw Massacre gets a prequel...another one, and North Korea land on the Sun. All this and Forest makes the terrifying realization that he is so OLD! For more Slaughter Film news and reviews, as well as show notes and special events, make sure to visit our website; SlaughterFilm.com.